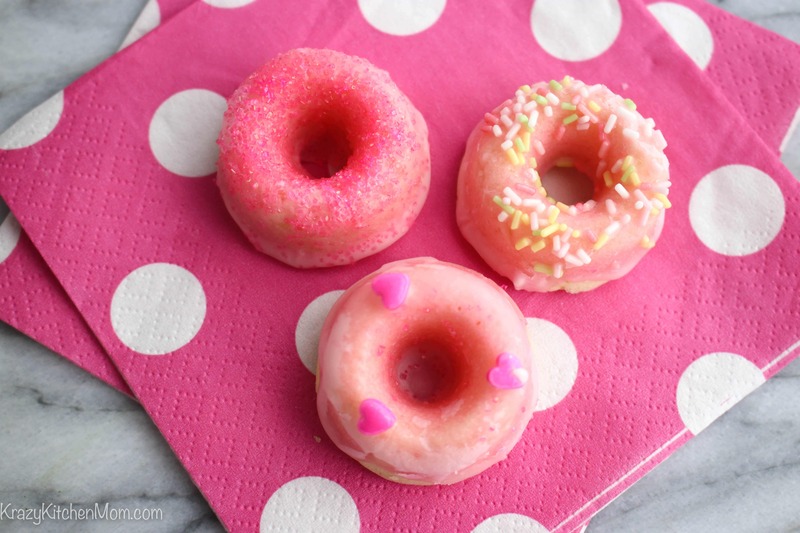 These Mini Pink Lemonade Donuts are baked and glazed with fresh lemon juice and confectioners sugar. Last weekend, my daughter-in-law and I hosted a baby shower for a long time family friend. 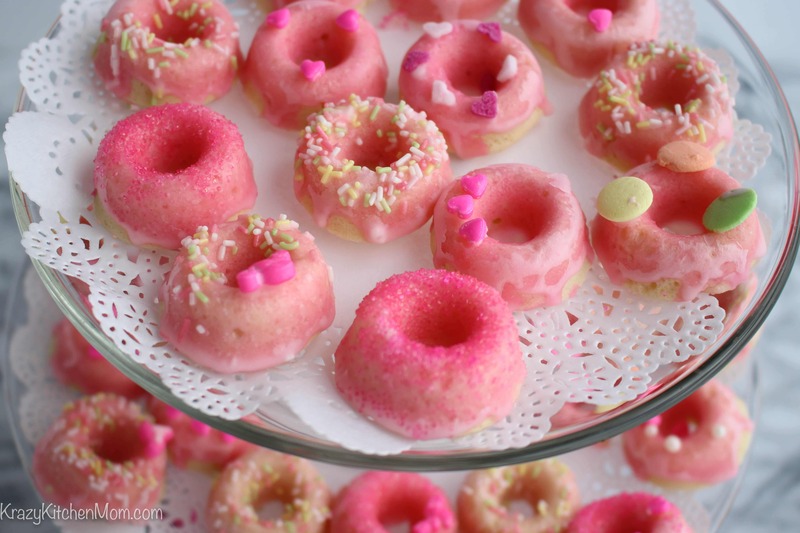 I made these cute mini pink lemonade donuts for the party…can you guess she’s having a girl? (Insert big smile!) I thought they were the perfect accompaniment to our large buffet that was overwhelmingly colored with pink everything. 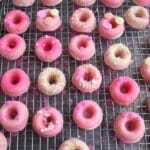 One of the nice things about these little bite-sized donuts is that they are baked and not fried. Although I love a fluffy traditional fried donut these are a great substitute. 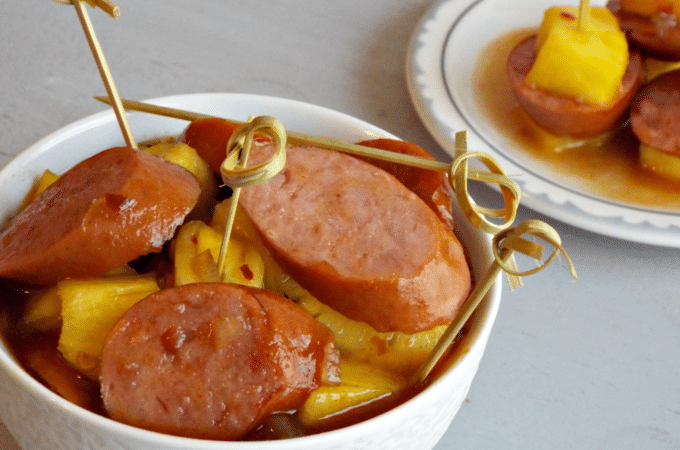 I think my Mom would have loved the ease of just putting these in the oven and letting them cook because she toiled many weekend mornings making fresh donuts for us to devour. 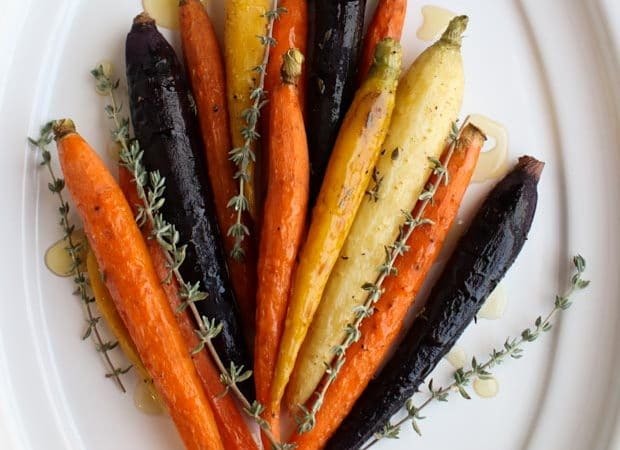 I hope you try these and enjoy them. Leave me a comment and let me know what else you’d like to see me bake. And don’t forget to visit my Pinterest Boards – lots of good stuff. Whisk together flour, sugar, baking powder, and salt; set aside. 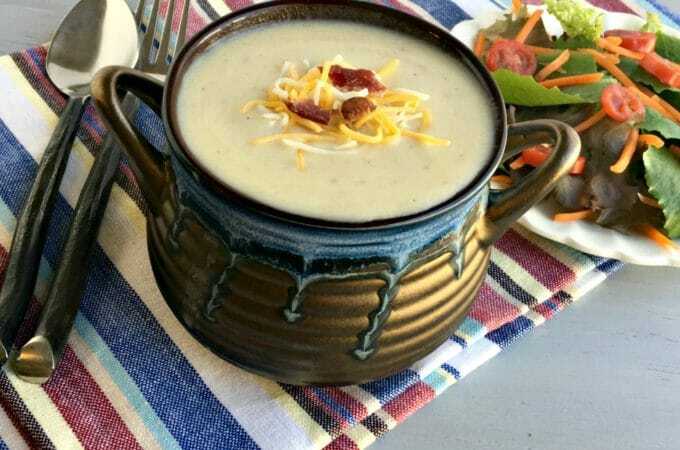 With a hand mixer or in a stand mixer, mix together milk, vinegar, egg, butter, and vanilla. Grease a mini donut pan with non-stick spray. Place the batter into a piping bag or a ziptop bag; snip off the end. Pipe the batter into the donut pan – only fill 1/3 of the way. 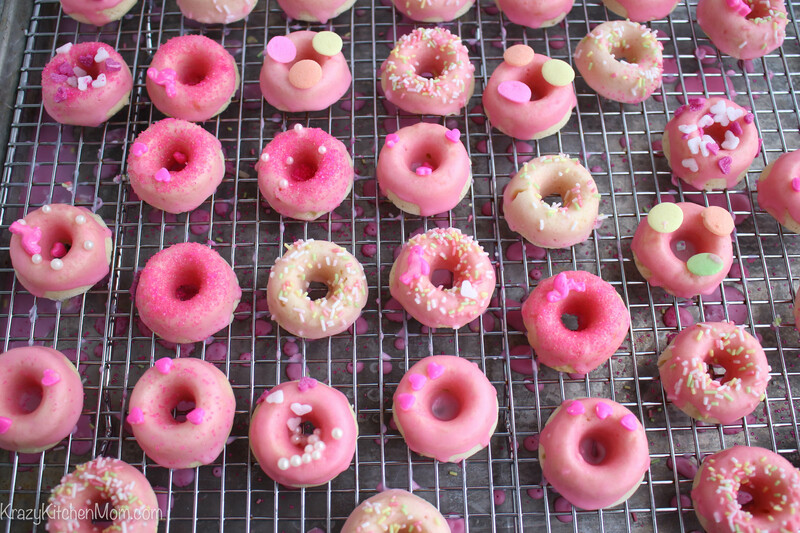 Cool donuts completely before glazing and decorating. Mix together the confectioners sugar and fresh lemon juice.